bank share look positive next day, icici bank increase 0.50% while hdfc bank, yes bank gain 2.5%. nifty trend tomorrow: nifty resistance level 7356,7381,7410 support level of nifty is 7310,7278,7250 , expiry should be 7300 to 7350 level. 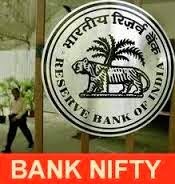 The FIIs were net sellers of Rs 522cr in the cash segment on Thursday while the DIIs were net sellers of Rs. 195cr, as per the provisional figures released by the NSE.